The AGM will be held in Bradys of Shankill on Wed 27th Feb @ 8pm. Tea/Coffee & biscuits will be provided, the BBQ is available for anyone who wants to bring their own food. MACI membership card MUST BE PRESENTED at registration desk (radio frequency if on 35Mhz) before flying! No Card = No flying = No exceptions! The Shankill Radio Flying Club has a 73" HobbyKing Falcon available for prospective members to take an introductory flight or two. If you are contemplating coming into this wonderful hobby, this is a great way to experience the thrill and excitement of radio control flying before deciding that its for you. So come along any Saturday or Sunday morning to see what R/C flying is all about, and arrange your introduction to this fabulous hobby. We will be a doing a mass build this year, and the Red Eagle has been chosen as the model. 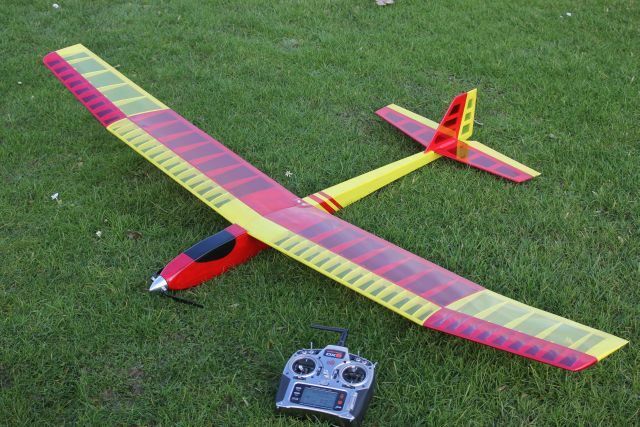 There is a build log on Model Flying UK here. The Shankill Radio Model Flying Club was established in the 1950’s by a small group of enthusiastic modellers living in the Shankill area. Since its humble beginnings the club has grown in size and draws most of its members from modellers living, in the main, in the South side of the City. The Club’s flying Site is located adjacent to the Sugar Loaf in County Wicklow and is regarded as one of the best model flying sites in the Dublin area. The principal activity of the Club is the encouragement amongst its members of Radio Control model flying of all types. The Club has members who are active in all disciplines of the hobby and these include Scale models, Pattern models and Helicopters. The Club welcomes spectators provided that they obey the safety rules and remain behind the flying line and pits area. Unfortunately no dogs / cats or any other animals are permitted on the flying field. Flying takes place on most Saturdays and Sundays throughout the year and most evenings in the summer months, weather permitting. The Club operates a training system whereby modellers are taught by experienced pilots how to fly their planes and there are regular training times set aside for this purpose and the club has a list of experienced pilots available to carry out this system. In the summer months prospective members can avail of the club's training models to give them the feel of the hobby before making any purchases and this facility is available most Saturday mornings or by arrangement. The Club has a large membership who are heavily involved in building all kinds of Aircraft spanning in size from 60” models to those in excess of 120” and many of these larger models have petrol engines. This building knowledge is shared between all club members, advice and practical assistance is given to all new members on the field. The Club runs winter meetings with talks by modellers on various aspects of building and finishing models and lots of practical demonstrations. The Club has a selection of books and video’s which are available for loan, upon request, to all members. There is also regular FPV 250 Quad racing taking place, and is quite exciting to watch. This aspect of the hobby is expected to grow quite dramatically over the coming months, and years. The Club runs various events throughout the flying season for its members with the emphasis on participation rather than competition. The Club is very active on the Competition scene and takes part in all regional events and have won the National Championship on several occasions. The Club is affiliated to M.A.C.I. (which is the Governing Body for the Hobby in Ireland) and it is through this Body that Insurance cover is arranged and the Club requires evidence of this Insurance cover (M.A.C.I. Certificate) before permitting flying at Club Site. This Insurance cover is the only form of cover accepted by the Club. The Club publishes on a bi-monthly basis a Newsletter, which keeps everybody informed as to what is happening in the club and keeps everybody up to date with the latest technology. The Newsletter is also a great source of second hand bargains as members change and upgrade their aircraft and radio equipment. Copyright 2012-2016 Shankill Radio Flying Club, All rights reserved. Reproduction/redistribution in any form whatsoever is expressly forbidden without the written consent of Shankill Radio Flying Club.